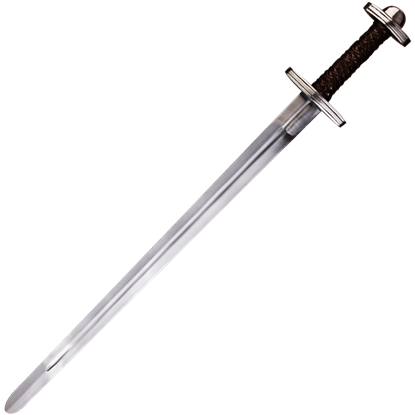 Vanquish your foes with honor and strength as you wield the Hans Stage Combat Sword. Made of high-quality spring steel with a stylish wooden grip, this stage combat weapon is inspired by the swords typical of medieval knights.  Armed with the Oswald Stage Combat Sword, you are fit to enter the fray, defend the kingdom, or face of against your greatest foe. Whatever the cause of your staged battle, this spring steel combat sword is ready for the challenge. For characters as fierce as ancient Viking warriors, the Thorleif Stage Combat Sword is the ideal weapon to wield. 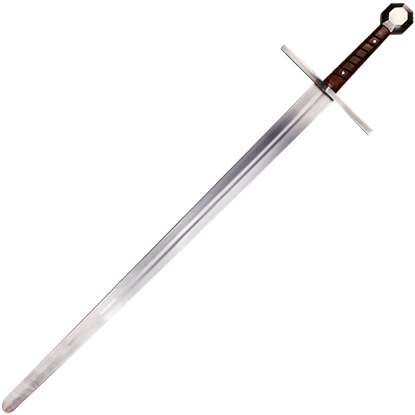 Add authentic ferocity and style to performances and historical costumes with this blunted spring steel blade. With the Tjure Stage Combat Sword in hand as you charge into battle, you feel no fear. Modeled after historic Viking swords, this realistic stage combat weapon has a blunted blade and rounded tip for safe performance and costume use.